For the first time, WMCAT will offer summer programs for both GRPS & Non-GRPS teenage students. 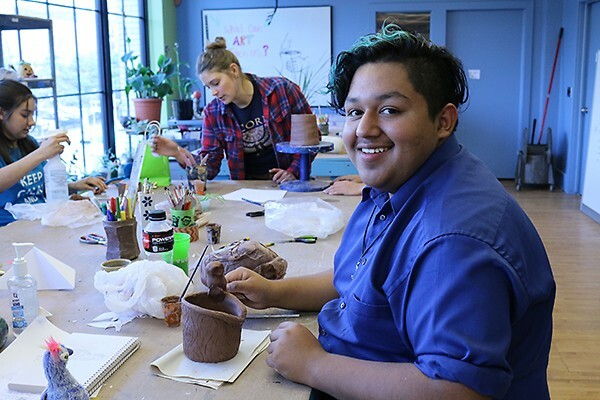 WMCAT teenage student, Juan, practicing his ceramic skills within the pottery studio. For more information on WMCAT's Summer Art & Tech Camps, or to register, visit: wmcat.coursestorm.com. 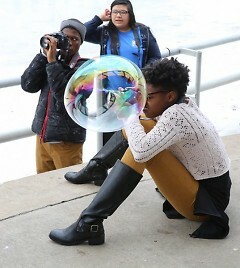 Zakia, another WMCAT teenage student, demonstrating her passion for photography. 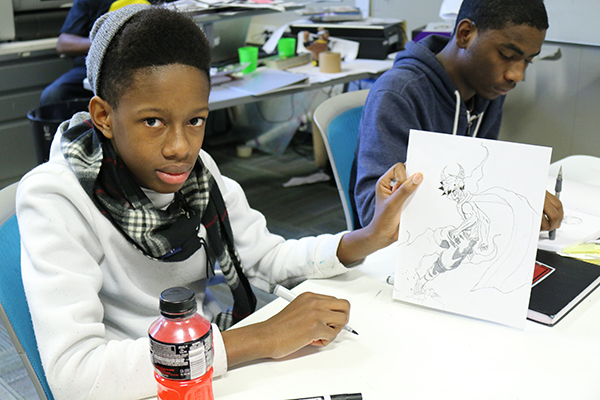 WMCAT teens can expand upon their creativity in numerous outlets such as sketching, painting, digital work, and more. This summer the studios at WMCAT (West Michigan Center for Arts + Technology) will be open to any middle or high school student who wants to explore, experiment and elevate their voice. WMCAT is excited to offer 41 different art and tech camp experiences to teens, while giving local creative professionals an opportunity to teach in our studios. WMCAT will offer Summer Art & Tech Camps for both Grand Rapids Public Schools (GRPS) and non-GRPS students! This is the first time we are offering summer programming to students outside of our partner district GRPS. The Summer Art & Tech Camps will be taught by local working artists, including guest instructors and WMCAT’s professional teaching artists. The week-long camps are *$20 for GRPS students and $125 for non-GRPS students, with a discount for registering for two or more sessions. Summer Art & Tech Camps will be offered during the morning (9:30 a.m. to noon) and afternoon (1 to 3:30 p.m.) over six weeks beginning July 10 and ending the week of Monday, August 14. Local creative professionals were invited to submit camp proposals that would engage and inspire teens. We’re positive these topics will spark the interest of teens no matter their creative abilities. Topics include: Abstract Illustration, Digital Photography & Printing, Game Makers, Illuminating Lanterns, Intro to Web Page Design, The Art of Color, Hip Hop 101, and more. The impact that our programs have had on our students is undeniable. Last year, 125 Grand Rapids Public high school students attended our after school Teen Arts + Tech Program, which was recognized by First Lady Michelle Obama in 2016 with the National Arts and Humanities Youth Program Award. The discounted Summer Art & Tech Camps tuition rate for GRPS students is made possible thanks to an ongoing partnership between WMCAT and Grand Rapids Public Schools and the support of our donors. For more information on our Summer Art & Tech Camps, or to register, visit: wmcat.coursestorm.com. *GRPS students can enroll in up to two sessions at the discounted rate of $20 per session. GRPS students can register for more than two sessions, but will be charged the non-GRPS student rate of $125 per session.